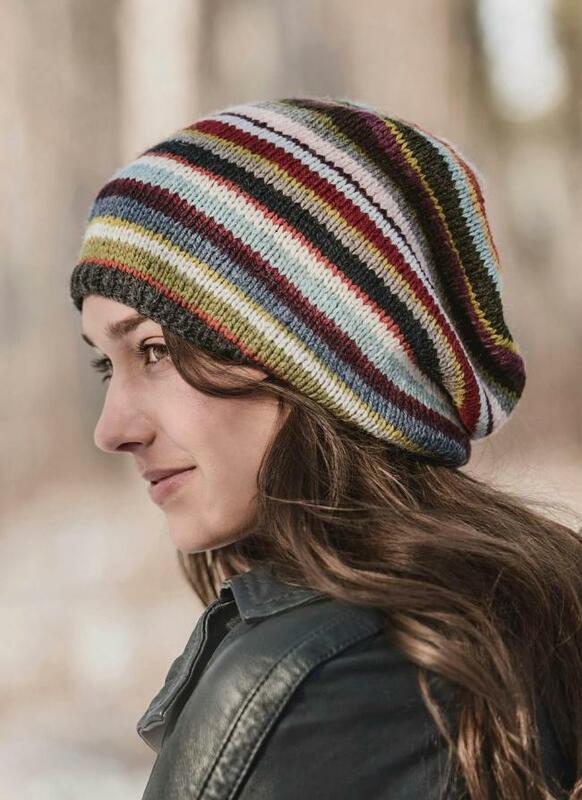 The Blue Sky Fibers 21 Color Slouch Hat Kit is an easy to knit striped hat. Fun and flattering in a slouchy, one-size-fits most design. Woolstok is a soft and sturdy 100% highland wool that’s perfect for many seasons of wear. The lofty twist knits up at a light worsted weight gauge. Kits include fulls skein of the main color and mini-skeins of the accent colors for all the lovely little stripes. A great value & a colorful treat!